Charles Burney (1757-1817), Reverend; Doctor; Classical scholar; Literary Critic. Sitter in 9 portraits. 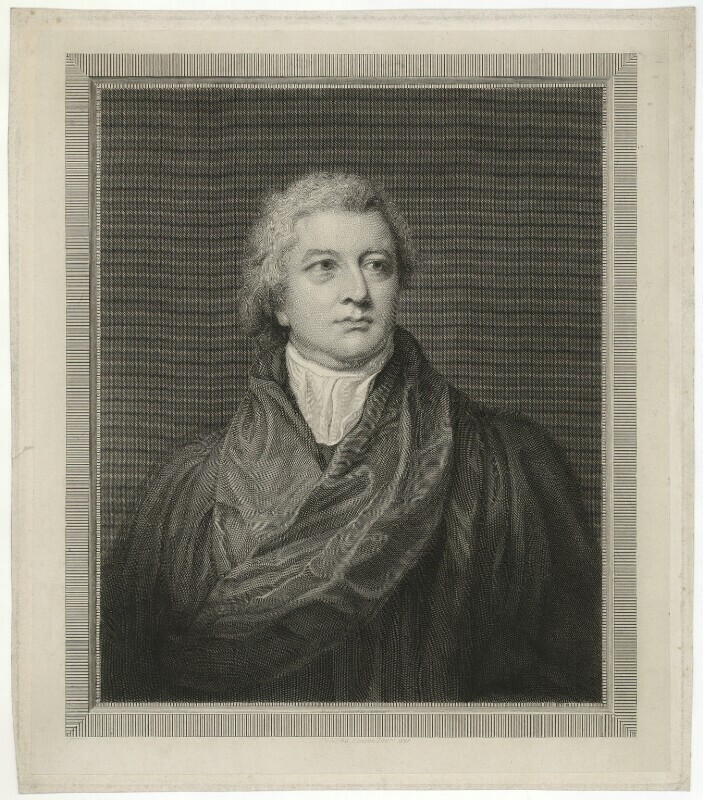 William Sharp (1749-1824), Engraver. Artist associated with 73 portraits, Sitter in 2 portraits. George IV is crowned at Westminster Abbey on 19 July and Queen Caroline is turned away from the ceremony. Two weeks later she dies reawakening popular sympathy for her cause. Riots break out at her funeral as the Government attempts to reroute the procession to avoid the popular reaction of the mob. Thomas De Quincey publishes Confessions of an English Opium Eater in the London Magazine. A creative commentary on his mental life, it gained instant notoriety. The Manchester Guardian (later The Guardian) established. Michael Faraday builds the first electric motor. Revolts in Wallachia and Moldovia against the oppressive rule of the Ottoman Turks. The rebels appeal to Tsar Alexander I for help and the Greek War of Independence begins.